Jaca Corporation was a Japanese distributor of rebranded photographic gear with a business model similar to the US company, Vivitar. Their products were designed and made by other companies under contract, then sold under Jaca brand names. They are most famous for their Elicar and Panagor brand lenses, made by a variety of Japanese lens manufacturers which included Komine and Kino Precision. The 1985 Edition of the Camerart Photo Trade Directory lists the company president as Hiroto Sugita and Jaca Corporation's address as: No. 17-25, 4-chome Mita, Minato-ku, Tokyo 108 Japan. According to various trademark filings (see below), the Elicar and Panagor brands were used for a wide range of products including cameras, interchangeable camera lenses, automatic zoom lenses, telephoto lenses, wide-angle lenses, macro lenses, close-up lenses, video lenses, electronic flash units, camera adapters, microscope adapters, camera rails, filters, reverse adapters, bellows, extension tubes, exposure meters, slide duplicators and copiers, micro-focus adjusters, and tripods. However, according to their listing in the 1985 Camerart Photo Trade Directory, their product line included only "35mm interchangeable lenses and various accessories for macro photography". Elicar may have had a life before Jaca Corporation as they were marketed by Highate Dufay in the UK from 1974 onwards. At the time the lenses were made by Wako in Japan. In 1983 Elicar lenses were being distributed in the UK by 'Luxphoto'. A US trademark registration for the Elicar mark was filed on 21 September, 1979. The filing indicates the Elicar mark was first used in commerce on 22 August, 1978.. This initial filing expired in 1981. A second US filing was made on 20 May, 1985 by Peter Gray Associates Corporation of Los Angeles, CA, believed to be the US importer for Jaca Corporation products.. This filing was updated in 1992 and was still in force as of 2012. Despite the clear international trademark records stating the Jaca owned the Elicar trademark, there is another Japanese company that distributed and exported the Elicar lenses, Tapak International, Inc. The relationship is unclear. It's known that some Elicar lenses were manufactured by Kino Precision, and other were made by Komine. 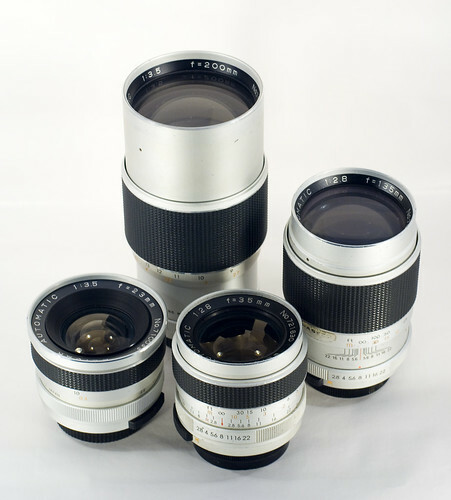 After Komine went out of business, Tapak designed and manufactured lenses themselves. The Panagor name was used mainly in the UK, Europe and Asia. Often the same/similar lenses were sold under both names, the only difference being the geographical region where the lens was to be sold. 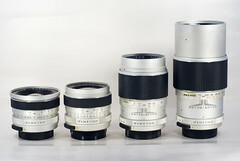 Some of the lenses made by Komine, such as the 90mm f/2.8 Macro were also sold through other marketing companies such as Vivitar, Soligor, Spiratone etc and vary only in the badging and the color scheme of the lens graphics. Adverts for Panagor lenses appear in US Photo magazines in the early 1980's. 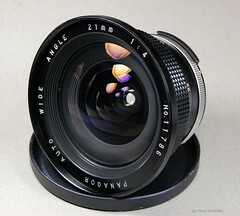 In Germany some lenses were sold with 'ADMIRAL/Panagor' branding possibly reflecting the local distributor. A Canadian trademark registration for the Panagor mark was filed on 16 June, 1971. The filing was renewed in 1973, 1988, and 2003. It has now expired. 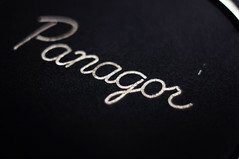 The Panagor trademark was registered in Australia on 12 May, 1971 Panagor equipment was imported and sold in Kenya, Africa starting in 1971. Panagor products were also imported and sold in the United Kingdom by AICO (amongst others) but no related trademark filing has yet been documented. ↑ 1.0 1.1 Camerart Photo Trade Directory, 1985 Edition, CameraArt, Inc.
↑ Personal correspondance Peter D. Jin of Tapak Intl., Inc. This page was last edited on 25 May 2018, at 05:45.